This little piece of work I’ve put together was inspired by another periodic table making its way around the twitter. 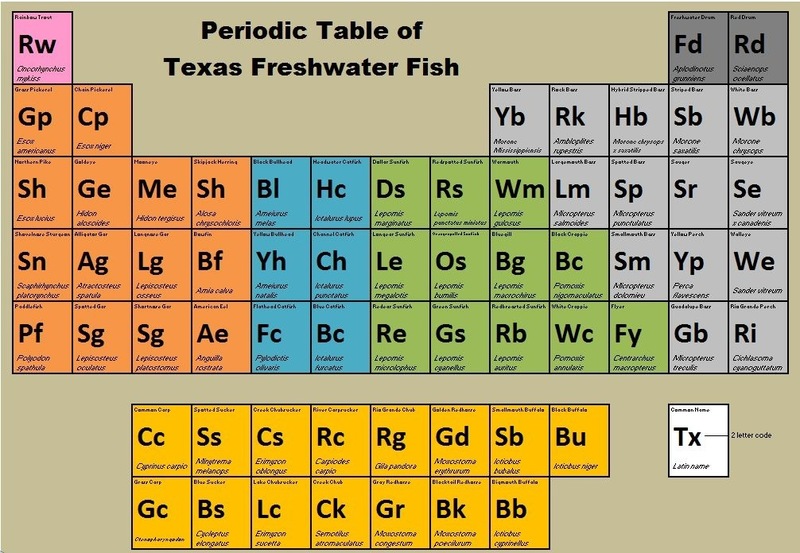 I quickly forgot what it was when I got the idea for a Periodic Table of Texas Freshwater Fish. After a quick web search I found a fly and fish periodic table on a t-shirt; but that didn’t quite fit the bill for what I wanted. Wanting something more Texas-fish centric I set to task on an excel spreadsheet. What I have made is simple and merely applies grunt logic. Basically, that means if you think about it really hard- you can probably find a better way to do it. But it does work for me and it helped sooth my Terminal Angling Syndrome for an hour. Sadly, yes this took me an hour to plug-in and figure out what fish goes where. You’d also be surprised how hard it can be to avoid duplicating two-letter codes. However, if it works for you- give it a like or a retweet on the interwebs. 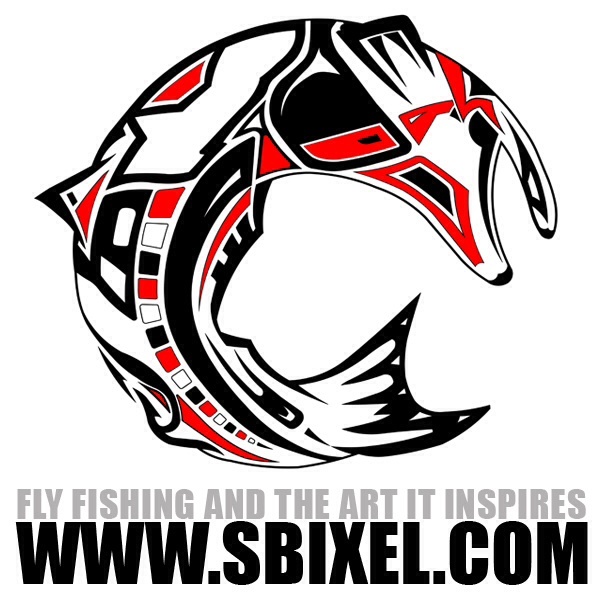 See the full size chart here.